Improving the customer journey and generating targeted leads for their clients. Search Engine Optimisation (SEO) is a key component of any online marketing activity, and having a healthy portfolio of backlinks from authoritative websites is arguably the best way to climb organic search results. Essentially, Google sees backlinks as recommendations; if you have a ‘recommendation’ from a well-respected website within your industry, you’ll get a bump in the rankings. The more high-quality links you have, the higher you’ll rank. The best way to achieve these golden links is to contact the leading publishers in your sector and offer to contribute content in the form of interviews, guest articles or blogs, outlining your expertise and explaining how your insight can add value to their readership. 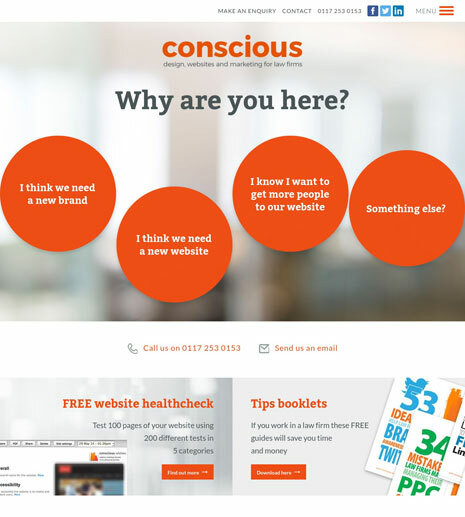 Conscious Solutions has great experience in SEO and content marketing, but they were looking for a publishing partner to manage the outreach process for a select group of clients, ensuring that a consistent number of high-quality articles were placed each month. The majority of our work is done in-house, but occasionally we outsource part of the process when projects require extra attention and we don’t have the manpower. Taking this course of action can certainly be a risk, as you need complete confidence that your partner agency will live up to your standards and uphold the reputation of your clients at all times. However, upon meeting Magnus we were immediately reassured, as he really knows his SEO onions and fully understood what we were trying to achieve. I was impressed with the number of legal sites he identified, and he quickly mapped-out a strategy for approaching them with topical content that would naturally link back to our clients. The legal sector is incredibly competitive and the top websites aren’t short on offers of content. As such, the key to successful placement is pitching relevant, unique and newsworthy articles that frame your author as a real voice of authority, someone whose opinion should be respected, trusted and courted. One of Conscious’ clients is a family law firm that required link-building to boost their service pages. 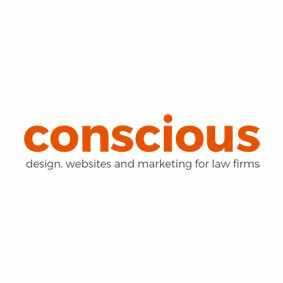 Conscious had done the groundwork by optimising their website with a range of useful guides and a regularly updated news feed, so positioning the nominated solicitor as an expert was relatively straightforward – the evidence was there to show that they were engaged with current affairs and qualified to comment, so prospective editors felt confident commissioning articles. Having great onsite content to reference allowed us to naturally place links that pointed to valuable further reading rather than coming across as advertorial or self-promotional – crucial if you want editors to actually keep links live. Thus, the whole task of researching the right publications, pitching irresistible articles and getting the ‘link juice’ flowing was achieved in a timely manner. Initially, we targeted three articles per month, and that’s exactly what Bespoke Digital helped us deliver, complete with a monthly report that we were able to share with the client. The attention to detail and tight processes meant we had final sign-off on everything, and the whole project ran smoothly. The communication was great, and we’ve seen fantastic results. Boosting SEO was always the main objective, and the client’s site is now performing well. There were also a few bonuses, such as giving us engaging content to share on social media and having a couple of articles published in print editions as well as online. One publisher even requested to meet the solicitor in person, with a view to referring potential clients. All in all, it’s been a successful partnership and we know we can always rely on Bespoke Digital as and when required. This approach to digital PR forms a three-pronged attack; you’ll see a boost in search engine performance, establish yourself as an authoritative voice in your industry, and also establish a dialogue with potential new customers. Optimising your onsite content is always the first step to success, and then showcasing your expertise while building backlinks follows naturally. The Bespoke Digital team is skilled at all forms of content marketing and we offer a range of white-label services for agencies, from outreach and guest blogging to copywriting and content creation. Please give us a call or drop us a line if you’d like to see samples of our work. Read some of the nice things our clients say about us here.